← Mercury Retrograde status report: the pain – and the gain! Mercury stations – enter domestic mayhem! At this moment, with Mercury preparing to resume direct motion at 11.35pm BST on Thursday 11th June, I am sitting writing in my Glasgow office – wondering whether we will be spending the night here…. 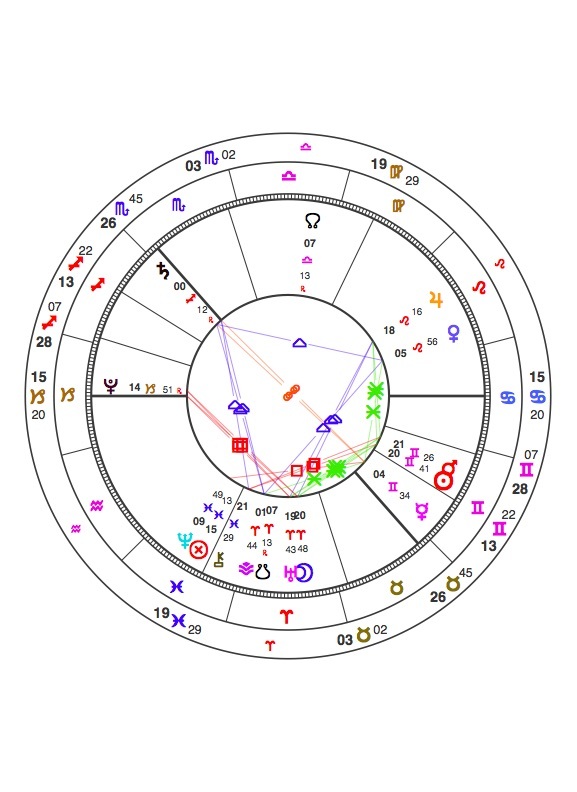 No matter how long one has been studying and practising astrology, there are times when its accuracy in describing the prevailing energy field of a given time period is simply breathtaking. So – sit back, fasten your seatbelts, and let me present you a case in point! This is what I wrote on this blog’s Facebook Page on the evening of Tuesday 9th June : “Well, is everyone looking forward to Mercury resuming direct motion, at 11.35pm BST on Thursday 11th June? Or are you now – like me – too spaced out to care much? Tomorrow and Thursday sees our local Electricity Board replacing an electrical cable in our building, then linking it to the supply of each of our community’s ten flats. Day One went ok, apart from the Electricity Board’s workers discovering that “the wrong kind of scaffolding” had been erected on our third floor landing ( the building has four floors). This means that the job cannot be completed in the two days stated. So the whole rigmarole of alerting and informing all of us in writing, with accompanying instructions, arbitrary date and attendant inconvenience will have to be gone through all over again at some hitherto unknown date. Day Two...well…picture the scene. Our podiatrist Lydia visited us this morning, weaving her way up through the building site that is our close in order to get to us. She had done Ian’s feet, and was half way through doing mine, when Ian burst into the room. “We all have to vacate the building, NOW!” he shouted. “There’s a gas scare!”. The strong odour of gas accompanied us as we hastily grabbed a few essentials for the day, Lydia hastily packing up her podiatry equipment as she ran. Gas was pouring from the wall outside our second floor neighbour’s door. On the street, surrounded by neighbours, curious passers-by and stunned-looking Electricity Board workers, we discovered that they had accidentally sliced through a gas pipe which they had not expected would be embedded in the wall. The emergency gas services had been alerted and half an hour later were allegedly on their way. There was absolutely nothing we could do, apart from pray that a random spark – the electricity supply apparently could not be turned off since it was too risky – would not result in our building being blown up. I am not a person who panics in an emergency, or gives up easily (thanks, Mercury/Saturn/Pluto!). I turned to Lydia, who was standing beside her car on the pavement opposite our house. “Shall we finish the job?” She is not a giver-upper either. So I sat on the driver’s seat, feet resting on Lydia’s knees as she balanced herself on the pavement and coolly carried on beautifying my feet – quite a task at the best of times, it has to be said!! We attracted quite a bit of passer-by attention – I’m a Leo, no problem there! – and a very kind, chatty lady from the next street offered us coffee and a seat in her garden for the rest of the day, if we were going to remain homeless. So kind! Emergencies do indeed bring out the best in some people. In the course of our conversation I did such a good PR job for Lydia and her podiatry skills that the lady went away happily with one of her cards, promising to book a session for her son, a sufferer from bad feet. The neighbours, who know me well enough to expect occasional bouts of left-field entertainment, were most diverted by all this from our collective worry that the building might blow up. It still might…but it hadn’t done so by the time the emergency services at last arrived, and Lydia, Ian and me went on our respective ways. 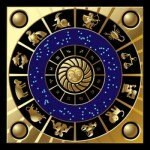 Being an astrologer, of course, absolutely everything no matter how dire is a potential astro-learning experience. You could scarcely make this one up: stationary Mercury square Neptune and Saturn: sliced-through gas pipe and interrupted podiatry session. Moon in Aries applying to the Uranus/Pluto square from Aries to Capricorn – threat of gas explosion in building. This entry was posted in Mercury: Retro and Direct + Mercurial Tales (6 articles), Uncategorized (35 articles) and tagged Electricity Board, gas leak, Mercury Retrograde 2015, Mythological Mercury, podiatry, Saturn/Neptune square. Bookmark the permalink. Yes, Carole, the addition of that extra Neptunian dimension via the podiatry was a blast – if you’ll pardon the pun! And I thought Mercury was giving me a rough time. Ha! Thanks for sharing, and do be safe. 11.6.15. – via Facebook Page: from Maureen Genatempo-LoCascio: Yikes Anne! I hate gas for that very reason. Everything is electric in my house. My husband handles the gas grill, just pushing the start button has me ducking for cover! Happy it didn’t all end with a bang! 11.6.15. – via Facebook Page:from Kathy Robles: I live in New Jersey, not far from NYC where there was a massive gas explosion in March of this year, destroying several buildings. Very glad to hear that this didn’t happen to your place! it’s been ugly – not especially for me but for lots of friends..
gotta get to the beach where things are ugly.. good thing there was a meeting today and not yesterday or last week with the mayor! Hopefully as Mercury goes direct, and moves away from the Saturn/Neptune square, things should do just that…thanks for dropping by, Lisa! Geesh! I just got it: Saturn/Neptune square = [The feeling of] the dashing of dreams. And while Mercury was involved, I couldn’t write a decent poem to save my life, nor could I focus on the editing of a novel that I thought was a silly waste of time. This sounds absolutely par for the course, Leslie! I have been quite unable to muster up the inspiration to write my next magazine column – but feel that tomorrow will be the day, with Mercury newly direct and triggering Neptune in a ‘giving form to one’s imaginings’ kind of a way…hope that works for you too! I loved reading the post,Lisa, and have left a comment. This especially made me laugh…”Our microwave internet tower stopped transmitting an internet signal…no connection to the outside world. I frantically unplugged cable wires and called our internet provider, who wouldn’t respond to my pleas for help…” Par for the course, this week! Hmmmm… Just when I thought, “No, nothing to report,” I remembered. I went away on a wee trip Monday-Wednesday. On Tuesday night (that would be the 9th) the air conditioning in my accomodations went out. Actually, it had gone out during the day, and we thought we had it fixed. Then, at 10 p.m. — it just quit. You have to understand… I wasn’t at the Hyatt. I was in a deserted fort. There was no one to call. So, I reminded myself that the Texas martyrs who’d once been there had a lot more trouble to deal with than a lack of A/C, and I went to sleep. Now, all seems calm as can be. I certainly hope you’re back in your digs! Yes, the gas went back on yesterday afternoon. But our first floor neighbours will be gass-less until that ancient (1930s) pipe is replaced later today. Your comment set me thinking about my island ancestors, whose remote village did not even get electricity until the 1950s. I wonder if Retrograde Mercury troubled folks less in the pre-world wide connectivity era? That would make an interesting research topic!